When hiring a locksmith, it is important to check if they are licensed and bonded professionals. It needs to be noted that bonded locksmiths are given out licenses, in which the identification details are collected by governments, agencies like FBI. In addition, they also collect fingerprint information of the bonded locksmith. Fingerprint information is also collected to clarify their criminal background. This provides an assurance to the user about the legitimacy of the bonded locksmith and about the skills to protect the property. Also, a good number of locksmiths are out there who do not possess any license to perform the job. Many of these unlicensed locksmiths are inexperienced and unprofessional and find the job as a means to fleece money from the client. 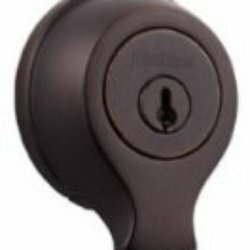 These locksmiths often provide advices that are harmful and misguided. These locksmiths not only are without real experience in the industry but also lack the necessary training in security industry. To get qualified advice, you need a licensed Kingsbridge locksmith who can also provide recommendations about your appropriate security needs, your security solutions and necessary systems required which could be physical and electronic in nature. Their advices are also made use of by big business establishments. To become a licensed professional, a locksmith needs to file necessary paperwork with the state and sometimes with the federal government agencies as well. It is only after following these procedures that a license is given to the locksmith to work as an official bonded locksmith. Herein lies the importance of checking the license when meeting for the first time. If a locksmith buys liability insurance, he becomes an insured locksmith. With this insurance, any kind of accidental damage done to the property or to life is protected, both for the locksmith and his clients. So there is a need to hire the services of an insured locksmith and ensure the safety of property, work and of life. After paying a nominal fee to a bonding company, a locksmith becomes bonded. Once a background check is undertaken, there is a guarantee of reimbursement of certain previously agreed-upon amount of money to these locksmiths. Like insurance, bonding is an added protection for the client. You too can do your own search of licensed locksmiths. You have the right to be informed about this knowledge. With the available knowledge you can make smart decision when selecting your locksmith.